Compassion started working in East Indonesia in 2005. Today, there are over 62,000 children registered in our programs through 260 church partners. Dear Sponsor, Warm greetings from East Indonesia. I am Georry Nefiantuty, known as Tuty. I have been the country director of Compassion East Indonesia for 16 years and three months. I am originally not from Manado, East Indonesia but Bandung, West Java (in the western part of Indonesia). I started working with Compassion in Bandung in 2001 and four years later I was appointed to start the new office in East Indonesia. Warm greetings from East Indonesia. I am Georry Nefiantuty, known as Tuty. I have been the country director of Compassion East Indonesia for 16 years and three months. I am originally not from Manado, East Indonesia but Bandung, West Java (in the western part of Indonesia). I started working with Compassion in Bandung in 2001 and four years later I was appointed to start the new office in East Indonesia. I feel blessed at having experience in these two offices, because it helps me understand the whole of Indonesia from end to end. Compassion East Indonesia started in August 2005. Within 12 years in East Indonesia we have 253 church partners and 29 Child Survival Program centres, which spread out in Kalimantan, Sulawesi, Moluccas and West Papua. East Indonesia is huge and most of the areas are remote. We thank God that President Jokowi gives special attention to East Indonesia’s infrastructure development now. Therefore, access to the remote areas is becoming more and more open now. In the past public facilities to remote areas were very rare and very expensive. Most of the transportation from island to island is by plane and also within the island because each island mostly still has huge forest, which is protected. East Indonesia also is famous by many tourists’ destinations, which are still natural. The reason we can minister to this many children is because we have faithful sponsors like you. Therefore, on behalf of Compassion East Indonesia, our church partners and beneficiaries, I would like to thank you for your love, continuous prayers, and support for us. Thank you for sponsoring our children so they can experience the love of Jesus Christ and have the opportunity to know Him. They are protected and know to whom they should go to ask for help in a difficult situation. They can have appropriate medical treatment when they are sick. 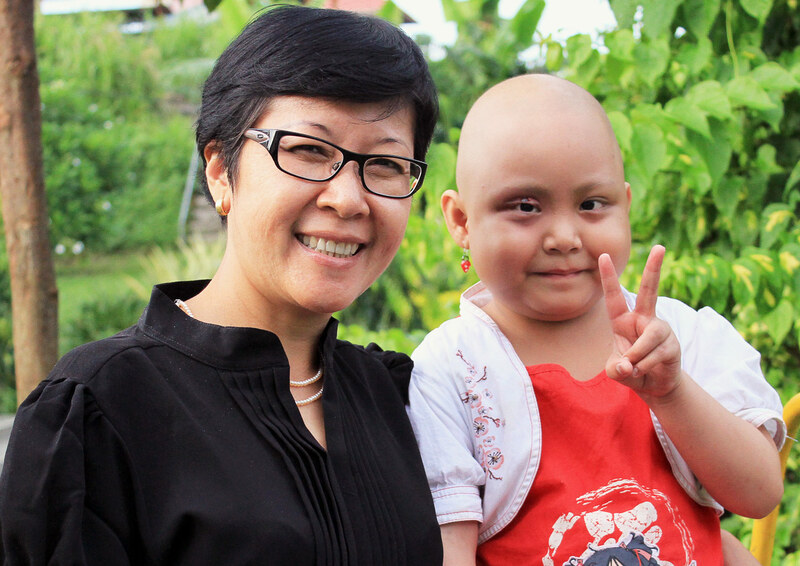 We are so glad to witness a girl named Ailin from ID-530 in Kalimantan Island who survived leukaemia. Now she is healthy and active in the program. Children who are victims of child abuse have medical and psychological treatments. Their cases are legally processed too. Some of the cases have been completed where the perpetrators are in jail now. To prevent and protect our children we have trained child protection champions in our local church partners and so every church has a trained child protection champion. The role of this person is to educate program staff, parents and children on child protection. They will also follow up the case of any child protection related issue. In a healthy environment, the children can have dreams and reach their dream. For example, one of the Leadership Development Program students passed her final exam and will graduate soon from the university. 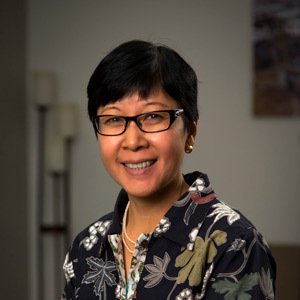 She is Hillary Walalangi from ID-112. She graduated from theological seminary with outstanding performance. Our first batch of Leadership students finished their university degrees at the end of 2016 and in January 2017 we graduated these 12 students from the program. Our church partners struggle to hire long-term capable staff for the programs, because the human resource (especially in remote areas) has a lack of education. It takes longer times to train the program staff. Once they become capable, many times the local government hires them to become civil servants. There are many children from broken homes among our beneficiaries. Bad influence from peers and electronic media. We would humbly ask for your prayer support for these challenges, so Compassion East Indonesia and our church partners will have wisdom in solving those issues. Besides this, we are praying that parents of our beneficiaries will know Jesus, be closer to Him and be able to support the children in their participation in the program. Would you mind praying for our church partners, especially for the pastors, project committees, staff and tutors? May God give them passion, strength, wisdom, health, peace and joy in serving our children in need. It always touched me every time I heard that the program staff should accompany a child to the hospital because the child is very sick even in the middle of the night. Thank you for your faithfulness in sponsoring our children and walking with them in their journey to fulfil God’s plan in their lives. You are in our prayers as well. May God bless you, your family and the work you do. East Indonesia’s remote island regions are among the country’s most poverty-stricken. But in the midst of hardship there’s hope. Come and visit local churches who are giving the children of their communities new opportunities for a new future! When some friends invited Pricilia to join a taekwondo group not far from her house in Manado, she had no idea how much her life was going to change. While many of her friends participated for fun, Pricilia developed a much deeper appreciation for the sport. After noticing students taking an interest in the sport, the local Compassion program Pricilia attends started their own taekwondo program. Through her constant commitment to classes, Pricilia’s skill has progressed considerably and she began competing. While she didn’t place in her first competition, Pricilia won her second competition in September 2015. She became a representative in the female junior class under 50 kilograms from the North Sulawesi province to join in the national-level competition in Jakarta where she won the semifinals. Despite this incredible achievement, Pricilia has been unable to share her joy with her parents as they disapprove of her involvement. Pricilia’s story of perseverance and strength has inspired the local Compassion staff to arrange a meeting with all parents to talk about the importance of parents supporting and encouraging their children to do things based on their talents.